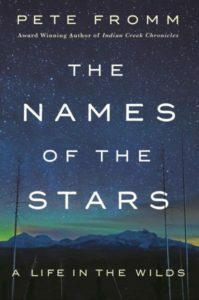 In this podcast, author Pete Fromm talks with Eagle Harbor Book Company’s Victoria Irwin, and with BCB host Channie Peters, about his new memoir. Pete is a record-setting five-time winner of the Pacific Northwest Booksellers Literary Award. He’ll be at Eagle Harbor Books on Friday, October 14th, 1-2 pm, for what promises to be a fascinating lunchtime talk. 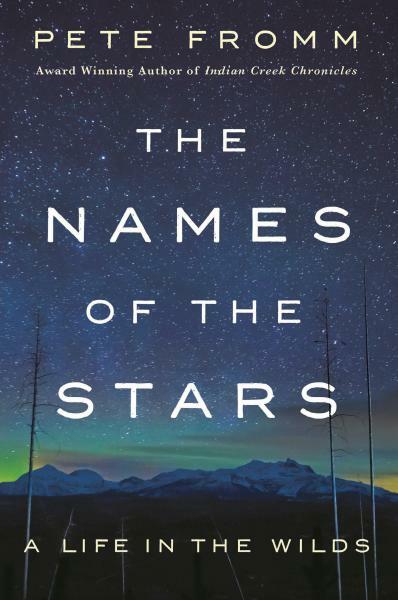 His new memoir Names of the Stars: A Life in the Wilds is most definitely not a sequel to Indian Creek Chronicles, written 13 years earlier, though there are superficial similarities. In both cases, we meet a man who goes into the wilderness, alone, to nurture and study fish eggs. 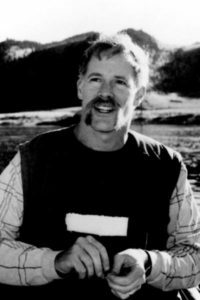 But Pete Fromm isn’t the same man he was in Indian Creek Chronicles, when he ventured into the wilderness, alone, to babysit salmon eggs for the Idaho Department of Fish and Game for seven months. Now, he isn’t just parenting fish eggs, but also two sons (age 9 and 6). They desperately wanted to go with him but couldn’t because of the dangerous neighborhood, with the densest population of grizzly bears in the lower 48. This time, Pete’s experiences in the wild are richer, with greater depth, in the context not just of the beauty and risks of wilderness, but also in the context of his emotional depth gained from years of life experiences and relationships. Pete’s experiences, both external and internal, and his recounting of them, make him the perfect guest for Eagle Harbor bookstore’s brown bag lunch venue, when we can sit down for an informal chat, ask questions, and get to know this personable, thoughtful adventurer and writer. Reservations are not required, but requested, so that space and drinks can be thoughtfully planned. Further details are at the Eagle Harbor Books website.